Morgellons is a poorly characterized constellation of symptoms, with the primary manifestations involving the skin. We conducted an investigation of this unexplained dermopathy to characterize the clinical and epidemiologic features and explore potential etiologies. A descriptive study was conducted among persons at least 13 years of age and enrolled in Kaiser Permanente Northern California (KPNC) during 2006–2008. A case was defined as the self-reported emergence of fibers or materials from the skin accompanied by skin lesions and/or disturbing skin sensations. We collected detailed epidemiologic data, performed clinical evaluations and geospatial analyses and analyzed materials collected from participants’ skin. We identified 115 case-patients. The prevalence was 3.65 (95% CI = 2.98, 4.40) cases per 100,000 enrollees. There was no clustering of cases within the 13-county KPNC catchment area (p = .113). Case-patients had a median age of 52 years (range: 17–93) and were primarily female (77%) and Caucasian (77%). Multi-system complaints were common; 70% reported chronic fatigue and 54% rated their overall health as fair or poor with mean Physical Component Scores and Mental Component Scores of 36.63 (SD = 12.9) and 35.45 (SD = 12.89), respectively. Cognitive deficits were detected in 59% of case-patients and 63% had evidence of clinically significant somatic complaints; 50% had drugs detected in hair samples and 78% reported exposure to solvents. Solar elastosis was the most common histopathologic abnormality (51% of biopsies); skin lesions were most consistent with arthropod bites or chronic excoriations. No parasites or mycobacteria were detected. Most materials collected from participants’ skin were composed of cellulose, likely of cotton origin. This unexplained dermopathy was rare among this population of Northern California residents, but associated with significantly reduced health-related quality of life. No common underlying medical condition or infectious source was identified, similar to more commonly recognized conditions such as delusional infestation. That’s basically consistent with what I’ve said all along since I started this site in April 2006. The fibers are environmental (and mostly cotton), Morgellons is not a distinct disease, and the patients suffer from a variety of conditions – both physical and/or psychological. I recognize that the people who think they have “Morgellons” are really suffering. But the answer is not in inventing a new disease. I recognize also this report will be a disappointment for them – but hopefully some will take it as an opportunity. It’s not a strange new disease. The fibers are not alive. You might just have some known conditions that can be treated. Talk to your doctor. Keep an open mind. Good luck. The recent success of the Morgellons-disease meme is, in part, explained by the fact that the Morgellons label resonates with symptomatic individuals. In one person’s words: “I felt so relieved. I found all these people talking about the same thing I was.”4 Accordingly, Morgellons disease has been considered a rapport-enhancing term in clinical medicine.5 The dermatology literature indicates that Morgellons disease is likely the equivalent of “delusional parasitosis,” a psychiatric illness in which patients erroneously believe that their skin is infested with parasites.5,6This competing conventional meme has been unpopular among individuals identifying themselves as having Morgellons disease. For Morgellons disease, most information available to patients exists on the Internet; thus, the World Wide Web is a second important contributor to the proliferation of the Morgellons moniker. With widespread reports dating back only about 3 years, Morgellons has seen explosive growth for a concept dormant for more than 300 years. 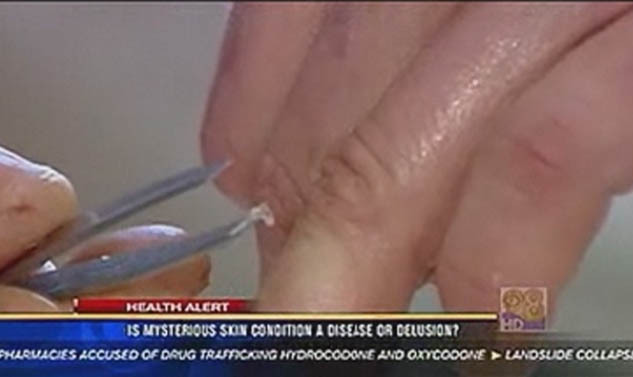 A large CDC-supported descriptive study is underway: a first formal clinical epidemiologic investigation of the Morgellons phenomenon, involving skin biopsies and fiber analysis (http://www.cdc.gov/unexplaineddermopathy/investigation.html).4 Results will characterize Morgellons as either a novel illness or an internet meme synonymous with one or more previously described disorders. I think they gravely misunderstand the use of the term “rapport-enhancing”. Here they seem to suggest a rapport between patients, yet in the literature they reference (Murase, Wu, and Koo), the term “rapport-enhancing” refers to rapport between doctor and patient. also brought skin fragments identified by her as parasites (Fig. 2). as it is necessary to expand the available information about this disease. The following extract is from an article that deals with several delusional disorders. The article differentiates Morgellons from delusions of parasitosis. Note that this article does not mean the symptoms of Morgellons are purely delusional, but rather that, as with DOP, there is often a delusional component to what may or may not be a physical condition. I’ve added it here as it is a useful reference to the most current medical opinion on Morgellons. I’d encourage people to read the full article, available via this link. In the seventeenth century Sir Thomas Browne used the term Morgellons disease to describe an unusual symptom complex resembling those seen in patients today . Patients with this condition maintain the unshakeable belief that fibers or some other material is imbedded or emerging from their skin. They pick and dig at their skin to extract the offending “material.” They may reject the notion that they have parasites but may still exhibit the “matchbox” sign, bringing in fragments of clothing fibers, lint, hair fibers and dried skin fragments for examination. We consider Morgellons to be within the spectrum of delusions of parasitosis, except that the patients are focused not on parasites but on “unusual material” that they believe is in their skin. We have seen a number of such patients in our clinic and all manipulate their lesions enough to self-induce irregular ulcerations. They frequently dig at their lesions with their own nails as well as house-hold items such as nail clippers or tweezers, the so-called “tweezer sign” (Robles, in press). It is important to ask patients if they use instruments in addition to fingernails because in our experience, the use of mechanical devices portends a more malignant psychological profile. Morgellons disease has received recent attention, primarily through the internet and through the website of Morgellons Research Foundation (http://www.morgellons.org). The Morgellons Research Foundation claims that this condition is an emerging infectious disease , however, no available evidence exists to confirm this hypothesis. Some authors affiliated with the Morgellons Research Foundation claim that Lyme Borreliosis  has an association but this has not been substantiated. There are no data available describing the prevalence of this syndrome. It may be seen in association with a number of psychiatric conditions including unipolar and bipolar depression, schizophrenia and abuse of drugs . There are no randomized control studies to establish the recommended treatment of this disorder. Some experts discuss the importance of establishing patient rapport by referring to the delusions as Morgellons disease . After ruling out an organic cause, emphasis should be placed on how disconcerting the symptoms must be for the patient. Medication trials have been intermittently effective. Pimozide has been used in doses of 0.5-2.0 mg daily. Koblenzer believes that Pimozide, with the added anti-pruritic effect, is a preferred treatment . The use of atypical antipsychotics such as risperdal, olanzapine and aripiprazole may also be of benefit [21, 23]. In our experience, the use of extra-thin hydrocolloid dressings over the ulcerations is generally very effective because it provides a mechanical barrier to manipulation and facilitates wound healing. The wounds frequently become secondarily infected, making the use of topical or systemic antibiotics an important adjunctive measure. 21. Koblenzer CS: The challenge of Morgellons disease. J Am Acad Dermatol 2006; 55(5): 920-2. 22. 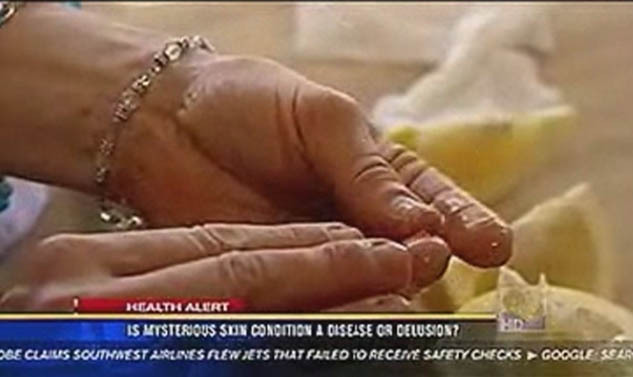 Savely VR, Leitao MM, Stricker RB: The mystery of Morgellons disease: infection or delusion? Am J Clin Dermatol 2006; 7(1): 1-5. 23. Murase JE, Wu JJ, Koo J: Morgellons disease: a rapport-enhancing term for delusions of parasitosis. J Am Acad Dermatol 2006; 55(5): 913-4. 24. Koblenzer CS: Pimozide at least as safe and perhaps more effective than olanzapine for treatment of Morgellons disease. Arch Dermatol 2006; 142(10): 1364. Morgellons coverage in the local media has never been very good, with the natural tendency of TV news to compress things into sound bites, and to force emotional responses from their viewers instead of informing them. The majority of the segment is taken up with an interview with a woman who claims she has Morgellons. Her symptoms began in July with what she thought was an insect bite. It soon evolved into skin lesions. “One evening I was kind of scratching at one of them, what appeared to be a little white moth flew out of some of these lesions,” she said. Her terror continues. She says citrus acid brings worm-like threads out of her body. Seeing is believing. Here’s where things get ridiculous. The woman takes some freshly cut lemon, and rubs it vigorously over her hand for a minute, squeezing and twisting the lemon slice until her hand is covered with lemon juice and lemon pulp. She then rubs her hands together, rolling the pulp around on her fingertips. Later, with hand dried off, she digs at a piece of dried skin at the edge of a wound – the unsaid implication being that this is the same thing. The footage then cuts to her plucking off another piece of lemon pulp from a different region of unbroken lemon soaked skin. [She] has seen countless doctors, but her symptoms are getting worse. “To be diagnosed by doctor after doctor as being delusional, it’s beyond frustrating,” she said. I’m sure it is very frustrating, and I feel very sorry for her. However, little white moths are not flying out of her lesions. The “worms” are lemon pulp. I don’t know anything about her other symptoms, or her skin condition, which may well be related to a real medical condition, but in this regard, she holds a mistaken belief. If countless doctors are telling someone the same thing, over and over, then is there not a chance that the doctors are right? Despite the title of the piece, there is no questioning on the part of KFMB. They totally accept this woman’s story. Presenting her as a rational person who simply has worms coming out of her skin and is being ignored by countless doctors. They totally ignore the very obvious fact that there are no worms, and that all they are seeing is lemon pulp. There may be a dramatic new breakthrough for hundreds of Texans who suffer from a mysterious disease. CBS 11 News was the only station at a medical conference that uncovered new research in the fight to prove Morgellons Disease is real. In 2007, Dr. Stricker and experts in agrobacterium studied skin samples from seven Morgellons patients and found the DNA from the bacteria in all seven samples. Now the question is, how are people getting the bacteria in their bodies. Firstly, this is not new, it’s over a year old. These findings were reported in January, 2007 – over a year ago. The most common cause of agrobacterium infection is from intravenous catheters. Dr. Stricker uses intravenous catheters to treat his Morgellons and late-stage Lyme patients. It seems then that these agrobacterium infections may not be a part of Morgellons, but are more likely a result of Dr. Strickers’ treatment methods. (EDIT: See Dr Smith’s response, in the comments section). In these patients, agrobacterium was NOT cultured from the patients’ body. The DNA was detected by PCR testing in Dr. Vitaly Citovsky’s lab at StonyBrook. The samples submitted were skin biopsy specimens done on out-patients in the course of routine offiice visits. 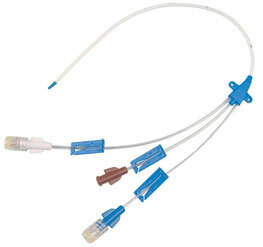 The patients were not acutely ill at the time and none had an in-dwelling catheter at the time. It is my understanding that 7 of 7 patients with Morgellons tested positive for agrobacterium and 0 of control patients were positive. Let’s assume that is accurate, and see what other reasons there could be for this group of patients to have Agrobacterium in their skin samples. 3. Skin lesions, both (a) spontaneously appearing and (b) self-generated, often with pain or intense itching. The former (a) may initially appear as “hive-like”, or as “pimple-like” with or without a white center. The latter (b) appear as linear or “picking” excoriations. “Self-generated” here means that the patient generates their own lesions by scratching and picking. The medical term for this is Neurotic Excoriations. There is a remarkable similarity between the lesions of patients with Neurotic Excoriations, and many (but not all) patients who claim to have Morgellons. The control subjects were healthy individuals (lab workers), who did NOT have Neurotic Excoriations. Hence another possible explanation for this study is that people with Neurotic Excoriations are greatly more susceptible to Agrobacterium infection (especially in the skin), than the general population. This seems very reasonable, as for the lesions to be “self-generated”, it would take constant repeditive scratching for many months. Fingernails get dirt under them. Dirt harbors agrobacterium. The scratching transfers agrobacterium to the skin. Correlation does not imply causation. The presence of agrobacterium in a group of seven, while being absent in a control group, is statistically significant enough to warrant investigation. The presence of agrobacterium is likely indicative of some factor that the seven patients shared. I’ve given two possible shared factors here: 1) They were all patients of Dr. Stricker, and 2) They scratch their skin far more than is healthy. It is not hard to come up with other commonalities, such as the unusual use of certain medications prescribed by Stricker, or even the equipment and envirionment used to collect the samples. This post is a response to claims of a “dramatic new breakthrough”, and I simply hope to point out that this is no such thing, but simply a statistically interesting observation that currently indicates absolutly nothing, but perhaps warrants further study. Indeed it may well turn out that Agrobacterium IS a common infection in patients with Neurotic Excoriations, and this may be a previously undiscovered common complication, which doctors can then treat. Meaning it could actually be a useful breakthrough, but not directly to do with the assertion that Morgellons is a distinct disease. Does this family have Morgellons…. … and not even know it!? One of the things we found out rather quickly is that there are strange fibers all over the place. You probably don’t think that you have any little fibers on your hand right now, but you probably do. You can’t spot them, but the folks down at the crime lab can, and the eyeclops can. Here is a red one, stuck to one of my eyebrow lashes. I realize it looks like a curious little worm, inching his way towards unibrow canyon, but it isn’t moving. Boy, that would have been creepy. It is just a dead little fiber, stuck to a single lash. Does someone need to call this family and tell them that indeed, it is a worm-like creature that spawned from a genetic mutation by evil scientists? Or just cut to the chase and call out a hazmat team, to rescue this family from years of torment by a mysterious disease plaguing the nation (that has until now been silenced by medical and government conspiracy)? That made me curious. After using a powerful magnifying camera, Rob asserts that fibers are on everything. In fact, in the article, he says point blank: fibers are everywhere. He seems almost a little pedantic in his response to my question, perhaps suggesting that my suggestion that the red fiber was a living creature was a little silly. Rob’s article describes what allegedly thousands of Morgellons sufferers see: little fibers. But somehow, the author is able to come to the conclusion that though it looks similar to a creepy little inching worm, the fiber is, in fact, just a fiber. How is it that one person can see these fibers as just fibers being everywhere, and others see them as an infectious plague, spawned by the tinkering of evil geneticists? Read Rob’s article about the Eyeclops here. “Many [pyhsicians] consider it a psychiatric problem,” Citovsky said. “However, there might be something that they develop,” he added, underscoring that his laboratory analyses have cracked the chemical puzzle of the fibers. “They’re made up of polysaccharides, sugars,” he said. “Long chains of sugar molecules. The problem is the people who deny the existence of the disease. They say this is lint or dirt that people find on their skin. But it’s not dirt, it’s not lint, it’s not twigs. Citovsky received samples of the fibrous material last year from San Francisco physician Raphael Stricker. Interesting stuff. I’d like to hear more about these analyses. Some statistics perhaps? Why this constant science via news release? One wonders what kind of sugars do not melt at 1700F? Perhaps the press should stop repeating those ridiculous claims of non-melting fibers. But which is the real Morgellons fiber? The cellulose one? The non-melting one? 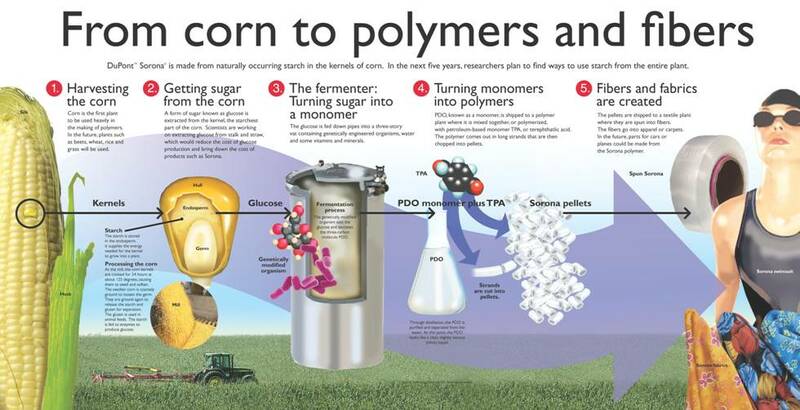 Of the new contender, the polysaccharides? Perhaps though this modern fiber is a little too unlikely. What other fibers are made from polysaccharides? Cotton is made from cellulose, cellulose is a polysaccharide. Yup, Kleenex too. Also cellulose, also a polysaccharide. Brigid Schulte: Hello Everyone,Brigid Schulte here. I’m a staff writer for the Washington Post. Thanks so much for joining us to talk about Morgellons, a strange and mysterious skin disease that the Centers for Disease Control and Prevention has is just about to begin studying. Joining us today are Dr. Jeffrey Meffert, a dematologist who has seen a number of patients with skin issues who does not believe Morgellons is a new disease, and Dr. Douglas Buckner, who is a board member of the Morgellons Research Foundation who distinctly believes that it is. Knoxville, MD: About 7 years ago this happened to me. I thought it was a spider bite and I was injected with silk. I was pulling out these strands of fibers out of my skin. Although I don’t recall it being multi-colored. It was more beije and looked like silk or cotton fibers. Felt the same way too. It was very painful. I went to the ER and the nurse was as creeped out as I was but the doctor said it was my imagination and I was given antibiotics and sent home. Could this creep up again some day? Dr. Douglas Buckner: Internet diagnosis? Could be collagenous fibers? Dr. Jeffrey Meffert: Could be. I don’t know for sure. I’m making a guess based on 27 years of patient care and 15 as a dermatologist from hundreds (thousands?) of wounds of various types I’ve taken care of over the years. Do you think they were something else? Based on what? Dr. Jeffrey Meffert: By the way, re “internet diagnosis”. I enrolled in the MRF database when I described, without embellishment, my younger son’s mild eczema symptoms and asked if it could be Morgellon’s. Not surprisingly, the answer was “yes”. Dr. Douglas Buckner: Am aware of your enrollment with the MRF and “could be” is a reasonable consideration. Who diagnosed your son with eczema? Dr. Jeffrey Meffert: Who diagnosed my son with eczema? I’m a dermatologist, dude. IMHO, I think I’m qualified. Who at the MRF diagnosed him as possible Morgellons? Prescott, Ariz: Good story. I first started hearing about this phenomenon driving late night listening to the ‘Coast to Coast’ radio show. I always thought that it would be easy to find out exactly what these fibers that come out of people are if you watched someone who claimed to have the problem for a couple days, and see if the fibers show up. You could probably do it real cheap and unobtrusively using internet cameras these days as well. Then wait for them to say the fibers are there and then run in and collect them. Could do it a more traditional way as well in a hospital. IS anything like this planned? Also, I am ascientist who deals with things like SEM’s and mass spectrometry, why is there so much problem finding out what this material is? Dr. Jeffrey Meffert: The material, when analyzed, is reported to be a variety of things. Cellulose (cotton), protein (collagen fibers from the wound), autoflourescing fibers (synthetics and processed cotton), something which melts above 1000 degrees (fiberglass). The patients itch, no doubt, but we need to get past the whole “fiber disease” gig. Dr. Jeffrey Meffert: Is there a reverse Semmelweiss effect where we are required to believe anything someone says until the established community disproves it? That is one of my complaints with the mrf. You have turned the scientific method on it’s head. We must believe that fiber disease is a (new? ancient? you’ve said both in different posts today) disease entity on your say so until I can prove you wrong. Washington, D.C.: Given how little researchers know about the numerous varieties of living organisms that manage to get by on healthy skin (and that apparently live on, in, and amongst the skin’s layers), isn’t it just possible that Morgellons have always been with us, feasting upon our flesh? Isn’t it also possible that the problem is not one of introduction of a virulent new strain, but rather the absence in sufferers of that which would normally have kept Morgellons in check? In addition to the factors already mentioned in common amongst sufferers, might there also be other factors even more subtle? If there are higher populations than normal of Morgellons in sufferers, what is it that may be keeping down populations of other organisms (bacterium, viruses, mites, and the like) which would normally keep Morgellons’ growth in check? For example, do any of these sufferers regularly use an anti-bacterial soap which while destroying ‘bad’ bacteria may also be destroying ‘good’ bacteria that feed on Morgellons and inhibit their growth and/or reproduction? Also, what other subtle external environmental factors or internal body chemistry factors are there which might lead to a decrease on sufferers’ skin of naturally growing ‘blocking’ agents that would inhibit Morgellons’ reproductive success? Dr. Jeffrey Meffert: When I graduated from medical school, there was no such thing as HIV disease. By the time I finished my family training we knew something about it. I am open to the possibility, if not the probability that there are pathogenic organisms out there that we have not identified yet because our “microscopes” are not good enough. My objection is the tendency here to cast aside the scientific method and define the condition using anecdotes and vague unprovable theories. Your comment about soaps is an issue with a condition called tinea versicolor in which the use of antibacterial soaps allows the proliferation and overgrowth of a nusiance causing yeast. Dr. Douglas Buckner: Elements in the environment today are different than only a few years ago. Pesticides, herbicides, solvents, antibacterial soaps and sprays and even perfumed air fresheners are everywhere. Environmental factors could contribute to the decline in the integrety of the skin as a defense mechanism and could lower the immune system. Such people would seem to be open to infections by things previously not considered pathogens. Thus a/many NEW conditions/syndromes/diseases. Dr. Jeffrey Meffert: Lower immune system again. Why do you feel morgellon’s sufferer’s have depressed immune systems? As I said in another post. Most of my itchiest patients have OVERACTIVE immune systems. There are studies that the allergists do which can characterize congenital and acquired immunedeficiencies. Have you any data regarding such testing in morgellon’s patients? Do you plan to do so? This “suppressed immune system” meme plays into the hands of outright charlatans on the internet who are happy to sell morgellon’s patients a variety of bogus immune system tonics…at a price of course. Washington, DC: In 2001 I had a series of panic attacks, was diagnosed with Generalized Anxiety Disorder, went on anti-anxiety meds for about 18 months and did cognitive-based therapy + exercise for about 4 years total. I am a former hypochondriac (I imagined problems as diverse as tooth decay and automotive break failure) and my doctor, therapist and aerobic coach cured me. In an online anxiety group, a person with Morgellons joined in order to deal with Morgellons-related anxiety. This person used the most derogative terms to describe anxiety and delusions- continually saying she wasn’t “crazy” and creating bizarre conspiracy theories about psychologists, therapists and doctors. Her level of insults to the psychiatric community showed pure stubborn prejudice and bigotry and no common sense. But it was her lack of personal reflection that was really the issue. Even though she was dealing with anxiety, she refused to stop drinking starbucks and soda, eating chocolate, she wouldn’t relax and sleep, she wouldn’t exercise, she wouldn’t eat healthy. All of these issues, she said, weren’t aggravating her condition, they were things she couldn’t change BECAUSE of her condition. She had been a super-achiever who clearly suffered some kind of break when she caught her husband cheating and her company began to fail- classic high-pressure nervous breakdown. Her symptoms meant her husband had to pay a lot more attention to her and if she couldn’t work because of the disease she could shut down her company without admitting failure. I really felt she reveled in the importance the disease gave her even as she hated the symptoms. In reading some of the other blogs she linked to, I saw the same stories repeating themselves- not just red and blue fibers that don’t show up in photos, but the same bigots calling people bettering themselves through therapy “crazy!” The same high-pressure exhibiting anxious behavior from multiple high-caffeine drinks each day. The same people looking for caring, more special treatment from family members who ignored them. The same people who were vacuuming several times a week, working in their garden until it was “perfect” and trying to control every aspect of their lives. The same predicating events like business failure, death of a family member. I mean, these stories are all online! I was shocked to see almost identical stories repeated in the Sunday Magazine! I’d love to hear from a current person who took anti-anxiety meds for one or two years or tried therapy for two years and still had a problem. Dr. Jeffrey Meffert: We have found that a variety of medications can help chronic itching sensations including anti-anxiety medications and some of the newer anti-depressants. Full blown delusional parasitosis responds to several medications which are in the “anti-psychotic” family although sufferers of this condition are not actually psychotic. Dr. Douglas Buckner: If a person is suffering from a psychiatric condition they certainly need to seek help and medication for such from a psychiatrist, not a dermatologist. Dr. Jeffrey Meffert: Or a phD. Or a nurse practitioner. Or perhaps even an occupational medicine physician. Physicians are allowed to prescribe any medications they have the training for. If a dermatologist is uncomfortable prescribing a medication, they should not. Just as I may prescribe birth control pills for acne therapy, I prescribe anti-depressants and other psychotropic medications to my patients who have conditions that might respond to them. I do not treat frank depression or psychosis because that is not my field of expertise. Northeast Washington, DC: Was there any concern that, in publishing this story, you would increase the number of patients with these symptoms? If there is a psychological aspect to this disease, then it seems that implanting the idea of Morgellon’s could cause people to develop the symptoms. Is there any evidence that those with the disease had previously heard or read about it? Dr. Jeffrey Meffert: I’m not sure that anyone who would read this hasn’t already heard of the condition. The MRF has been very effective in getting these stories onto local TV and all over the internet. I think the fact that all these patients, with their widely varying stories and symptoms, all think they have this thing called Morgellons illustrates well that there isn’t any one specific syndrome. Dr. Douglas Buckner: People in different regions will of course have secondary infections which differ. However, the classic symptoms so often present. The secondary conditions are possibly a result of supressed immune systems which does cloud the issue. Friendly, MD: Does this disease present itself in domesticated or wild animals? What is most amazing to me is the lab work done by a forensic lab and not identifying the fibers as manmade or cotton,silk, etc. Why wasn’t this type of lab work done initially? Dr. Jeffrey Meffert: Animals have their own mites and itchy skin disorders. I have never read of an animal infected with Morgellons which would be surprising since one of the conjectured sources for the “infection” is that it is a zoonotic infection which has crossed over to humans. Comment, MRF? Dr. Douglas Buckner: Many people with Morgellons have pets, especially cats and dogs. They report that their pets show similar symptoms. The Morgellons Research Foundation presently has a group of researchers which includes doctors, vets, parasitiologist and microbiologist who are working together in combined efforts investigating Morgellons Disease. At this point in time I would not expect there to be references to such in the literature. Dr. Jeffrey Meffert: If you want your data taken seriously, you need to get it in the mainstream literature rather than vaguely referenced on the MRF website or the personal websites of your associates. If the reason you can’t get it published is because it does not stand up to scientific scrutiny…well that says something, doesn’t it. Dr. Douglas Buckner: Maybe the CDC will help out in this respect. Minneapolis Minn: Can you talk more about why the fibers haven’t been identified yet? This seems strange, given modern science. Dr. Jeffrey Meffert: The problem is that the fibers have been identified as many different things. Depending upon which report, they are either cotton (cellulose), synthetic fibers, collagen from the patient’s wound, or even fiberglass. This is why I object to the idea that “fiber disease” is a single condition. Dr. Douglas Buckner: Attempts to identify the fibers have been made by researchers. The fibers were compared to thousands of known fibers in police and FBI databases and there were NO matches. They were also evaluated in a gas spectrometer and they did not vaporize at 700 degrees C. The Morgellons fibers are not textile fibers. I have often wondered how a derm could identify them as textile fibers without a sound textile knowledge base and not taking the time to magnify or send fibers to a “lab”. Dr. Douglas Buckner: The fibers were not a match to anything in the databases. I am glad to hear that you acturally do scrappings and look; too many doctors do not. Dr. Jeffrey Meffert: Most primary care doctors are not adequetely trained in dermatology. They do the best they can with what they were taught. But yes, I scrape and examine everybody who needs it and will microscopically examine everything a patient brings in. Every once and awhile I get a piece of a flea or ant which lets me give the patient some very specific advice about exterminators and what to do with their pets. Fairfax, Va: It’s not clear to me why so many people seem to have an investment in believing that Morgellon’s doesn’t exist. If patients from different parts of the country are producing fibers that a police lab says don’t match any known material, that seems like pretty compelling evidence by itself of a real problem. Two questions: 1/Have any autopsies been conducted on the bodies of Morgellon’s suffers? The article mentioned the distress of the funeral home workers; did a medical examiner have a chance to study the body? If so, what were the findings? 2/Is Morgellon’s found anywhere outside the United States, and if so how do foreign doctors deal with it? Dr. Jeffrey Meffert: Morgellon’s is found, not surprisingly, everywhere there is internet access. People itch everywhere. Local doctors treat the known, diagnosable diseases of the their region as best they can and move on. Dr. Jeffrey Meffert: The original, historic morgellon’s reference sounds most like dracunculosis (aka “guinea worm”) a tropical disease in which a nematodal parasite bursts through the skin to lay eggs in water. Scary stuff and can still be found in north africa and southwest asia but it doesn’t make fibers. “Morgellon’s Disease” as conceived by Ms. Letao and defined by the MRF has only existed as long as high speed internet. Dr. Douglas Buckner: No, the condition which was given the name Morgellons for consistancy in communication existed before the name Morgellons was given. I know the disease existed in 1997. Dr. Jeffrey Meffert: I had internet in 1997, didn’t you? Washington, D.C.: One of the things that bothered me was the suggestion by one of the doctors that this was a disease because so many people shared the similar experience. It reminded me of another article in the Washington Post Magazine some time ago about people who believed the were being monitored by the government through implants. Just because many people share a delusion doesn’t mean it’s true. Dr. Jeffrey Meffert: The common factor is that these patients itch terribly. If I see 30 patients in a clinic day, 10 of them itch terribly. The patients all have something, it’s just not all the same thing. Alexandria, Va: I’m curious as to whether any of the sufferers you interviewed or heard about did try psychiatric treatment? I can’t imagine being in that situation (and whatever the cause, they do feel this, I’m sure), but why reject a possible treatment, even if it doesn’t line up with what you think is happening? Dr. Jeffrey Meffert: There are psychotropic medications which have use in a variety of patient conditions which may be lumped under the aegis of morgellon’s. These patients, even those with true delusional paristosis, will not benefit from analytic psychotherapy although relaxation techniques and self-hypnosis may provide some benefit. Rockville, Md : Can the disease be caused by a parasitic nematode? The nematode is carried into the skin by mite bite. Mites carry tropical worms from the south north and infect humans when birds leave nests in attics, etc. Please comment. 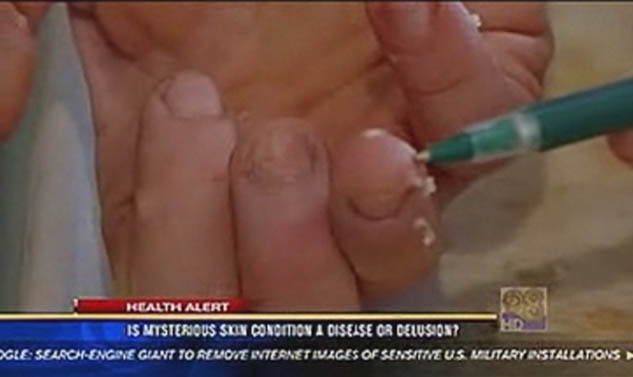 Los Angeles, Calif: Question for Mr Buckner: Clearly there must be SOME people who think they have Morgellons, who actually have some kind of delusion regarding fibers, and their sores are the result of scratching themselves. How does the Morgellons Research Foundation distinguish those who are delusional from those who are not. Is there some criteria? Dr. Jeffrey Meffert: My impression is that they do not. The fringe morgellon’s sites which discuss chemtrails and fibers from meteorites certainly do not. Dr. Douglas Buckner: There is no way for the MRF to diagnose someone over the internet. That is why it is so important that they find a doctor who will take the time to listen, examine, research each patients condition/symptoms. The Morgellons Research Foundation just like the American Cancer Society has fringe elements consisting of desperate people trying the explain the unknown. Oklahoma City, Okla: I am a 47 year old female ,who has had this terrible disease since 1999. My question is there have been countless numbers of calls to the CDC, as well as countless studies and surveys submitting to various colleges collecting info. It’s obvious the numbers are growing fast. Why is it the CDC still refuses to give out documented numbers of cases, that are proven to be real. They still claim they need further investigation to be able to supply this information. Second why is Kaiser the chosen one to do research , when some beleive that Lyme disease may be connected to Morgellans? Kaiser does not acknowlege the existence of chronic Lyme disease, nor will insurance for meds cover this. Ending…why has the CDC kept this such a secret, when everyone knows there have been more calls this year alone with regards to Morgellans . We the people have had to alert physicians, congressmen, healthe dept. , because they were turning their backs…..I want to know why? Is there something they are hiding? Dr. Jeffrey Meffert: The problem with defining the “number of patients” is that one of the first things the CDC has been wrestling with is what is called a “case definition” of the disease, that is to say, how do we diagnose a case of morgellons? The MRF has their own definition but these are so vague that they include a variety of other conditions. To say “fibers makes the disease” doesn’t work either because there are so many types of fibers reported, fibers of different colors, of different materials, some microscopic, some visible to the naked eye. It’s not a conspiracy to hide the numbers, it’s that we really don’t know what the numbers are until we have an accurate description and way to diagnose it. Dr. Douglas Buckner: Yes, we would also like to know why it has taken so long, but for what ever reasons the CDC is now taking this on with a serious attitude. Dr. Jeffrey Meffert: The fact that the MRF has had a fair amount of success getting congressman (and presidential candidates) to lean on the CDC might have something to do with it. Anything is possible in an election year, I guess. Dr. Douglas Buckner: What ever it takes to get the job done and get help for all the people that suffer Morgellons. Richmond, VA: I did a web search for pictures of Morgellons and found several web sites and even some videos on YouTube. What I couldn’t find anywhere though were any pictures of these mysterious fibers “in situ” — i.e. it all seems to be stuff people claim to have removed from their skin (accompanied in some cases by some pretty far-out stories), not still within the lesion. Does anyone have this kind of “data” to show? If so, it would help convince a lot of doubters, like myself. Dr. Jeffrey Meffert: Data is the issue. What “data” is accepted as credible by the scientific community and what is accepted by the MRF and it’s associated groups are rather different things. Dr. Douglas Buckner: Early data was only from patients who could get no medical help from doctors and did their own researching. These “data”, images and descripjtions were extremely consistant from people around the country and other countries. Now “data” being collected by medical doctors and researchers are also consistant; fibers, granules, black specks, fatigue, joint pain……Hopefully the study by the CDC will produce valid “data” which will lead to Morgellons Disease being defined and recognized by the medical community. Dr. Jeffrey Meffert: I’m sorry. You will have to explain how all the different types of fibers, lesions, symptoms, specks, etc. are “consistent”. Even the article prompting this chat have the stories of a number of unfortunate people whose own complaints hardly sound like anyone else in the story. Your own medical advisor says these are mutated nematodes. Your experts in california say it may be an expression of lyme disease. That seems hardly consistent to me. Alexandria, VA: It seems like it would be relatively easy to study: bring sufferers into a clean, sterile (lint &amp; fiber-free) and controlled clinical environment for a period of time, and monitor them very closely. If the fibers appear on their body, you will know that they didn’t come from clothing or carpet. Photograph and videotape everything and study the fibers and lesions as they appear. Why hasn’t this type of research been done? It could quickly clear up the thought that this is all in their heads. Dr. Jeffrey Meffert: Good point. The problem is that this would be rather expensive. Perhaps the Kaiser study will do something like this at some point. Perhaps the MRF could shake loose some of their funds to do this. Dr. Douglas Buckner: Your are correct, it would be good to control threats to validity and expensive. The MRF does not have the funds to support such valid research that is one reason we have encouraged the CDC to do so considering their funding base and the validity of their resulting research. Washington, DC:“Little black specks all over her side of the bed” are consistent with the spots of dried blood that one might expect if she had been clawing at herself. Dr. Jeffrey Meffert: Agreed. If they are moving, that’s something else. I routinely have people bring in the black specks that they have collected from their bed. They are always tiny little scabs or darker dandruff from their pets who share the bed. Washington, D.C.: Question: Have sufferers had their sweat (especially the uric acid component) checked for normal chemistry — especially pH factor? The reason I ask is because that photo accompanying the article of a Morgellon fiber concealing a piece of alumina rock makes me wonder whether alumina is normally excreted by the human body, and if so, how? If sufferers’ sweat has a higher than ‘normal’ pH — meaning less acidic — it could mean that in normal persons the acid in sweat acts as a natural inhibitor to Morgellon growth (and growth of other noxious organisms things as well). Alternatively, if sufferers’ sweat has a lower pH than ‘normal’ — more acidic — it could mean that the fibers themselves are the skin’s version of kidney stones since stones can result from high concentrations of uric acid in blood. Champaign, IL: The articles states that Ahmed Kilani “amplified the fungal DNA from the fibers” and also that Vitaly Citovsky “won’t be certain what the fibers are until their DNA is tested”. So, does that mean that scientists know that these fibers do indeed contain DNA? Or is it possible that any DNA isolated from the fiber samples were from the sufferers’ skin? It wasn’t clear to me if this was known. Brigid Schulte: I came online just at 2 pm – and am coming late to this very spirited exchange – which was pretty much what I found as I was reporting this story. There is a lot of passionate debate by people who sincerely are suffering that this is a new disease, and just as passionate skepticism on the other hand. Washington, DC: A considerable amount of my family has been affected by this. My brothers &amp; I have been estranged from our mother for more than a year. She is deteriorating in front of our eyes and I fear for her safety and well being. Just this morning I received an email that urges her friends and family to pray for her death. Are there any resources in place? Is there anything that you can recommend? She has been shunned and humiliated by multiple physicians. We’re at wits end. Please offer some suggestions. Dr. Jeffrey Meffert: Knowing nothing about the details of her case, it’s hard to give specific advice. Sorry on behalf of any physicians that have not met your mother’s needs. If you are looking for a physician who will buy in on the whole MRF morgellon’s dogma, you may be out of luck. But there are plenty of physicians who will work with patient to try to alieve there suffering, whatever the patient may want to call their condition. new ideas: I find it maddening that every time there’s some wacky new disease or theory proposed, people say something along the lines of “Well, once upon a time people didn’t believe that washing your hands could prevent infection, either.” Yeah, with hindsight, that wacky idea was right. But the vast majority of wacky ideas are wrong. I don’t know if Morgellon’s is a real thing or not – obviously the distress experienced by the patients is real. It’s just so annoying to bring up the same old fringe ideas that turned out to be true, when you know there are crazy ideas proposed every single day, and the vast majority are just that: CRAZY. Dr. Jeffrey Meffert: It was widely agreed for about 6 months that this immunesuppressing thing that gay men were getting was caused by amyl nitrate poppers. We kept our eyes and minds open. We approached it scientifically. We discarded the fringe ideas (soviet bioweapon, disease off meteorite), and know we know what HIV is and are getting better at treating it. That took 20 years. Alexandria, VA: For Ms. Schulte: I am curious as to your reaction when Dr. I wasn’t sure what to think. I’m not a medical doctor, so, while they appeared to be fibers, they could also be other things, which is why I sent the images and talked to other doctors about what they could be. They weren’t sure. That said, I don’t think it changed the way I wrote or reported the story. To me, it was just one more mystery in this medical mystery story. chemicals that they use on products that they export?????? the skin that resemble textile fibers??????? Dr. Jeffrey Meffert: I’m not following why anti-nematodal medications used in one country would cause textile fibers to emerge from the skin in another. Perhaps MRF can field this one. Bethesda, MD: All I can say is How Bizarre! But my question is a simple one. Why won’t most doctors at least try to see the patient’s skin under a microscope before dismissing them as crazy? Is it really possible that so many of these patients experience these crazy symptoms (seeing the bugs moving on the skin, picking fiber out of the skin) at home but not in the doctor’s office? Brigid Schulte: That’s a great question, and one I had myself. From the people I spoke with, they reported a common experience: when they brought samples to their doctors’ offices, the doctors immediately dismissed them – one tossed Sue Laws’ samples in the garbage. And they reported that once they’d gotten off on the wrong foot, doctors were less inclined to take out high powered microscopes to look at their skin. While the jury is still out about what Morgellons may be, it does seem to point to the fact that the medical community may want to look more closely at how they interact with patients. Falls Church, Va.: You ought to have pointed out that Savely was forced to leave Texas, because the doctor who employed her was threatened with the loss of his license due to her unconventional treatments for Lyme. Dr. Jeffrey Meffert: It is public knowledge through the nursing regulatory board website that she was fined and ordered to acquire further education on the appropriate use of antibiotics. She moved to California instead. Auburn, WA: How can a person get more information on becoming a research study participant? We have a friend suffering with similar symptoms skin irriations, threads in wounds, who would be interested in participating. Dr. Jeffrey Meffert: I think the portal to the study is through the CDC “unexplained dermopathy” web site. CDC has a lot of good sites by the way. Dr. Douglas Buckner: There was no diagnosis at the MRF. We do not do that. But with an answer “could be” is not unrealistic. blood samples and urine samples of morgellons patients? Brigid Schulte: Ginger Savely treats lyme patients with high-dose antibiotics, another controversial practice that got her into trouble in Texas. That is a whole separate, controversial topic that I touched upon in the story, but would have taken it in a different direction to explore in more detail. Dr. Jeffrey Meffert: I would encourage you to keep seeking help until you find someone you can work with. You aren’t contagious or dangerous to your family. There are medications which can help the horrible, distressing feelings you are experiencing. Baltimore, MD: My sister and her husband live in WV and may be suffering from this disease. She is afraid it may be contagious and thinks it entered their home after dumping old items in a land fill, in December. Should we be looking at landfills in areas where the disease has been reported and shouldn’t we immediately assess whether or not this can be transmitted by human to human contact. After reading so many horrible stories about people suffering, why hasn’t the CDC done something before now. Also, I read somewhere that this mysterious parasite could have something to do with honey bees dying off in extremely large quantities. Who is looking into possible connections? Dr. Jeffrey Meffert: Landfills may contain a variety of toxins and I’m not an expert on the whole “environmental allergy syndrome” issue. The honey bee problem is a different parasite than anything the MRF folks are talking about (as far as I know). All living creatures have their own parasites. Ironically, even fleas have flea mites. Fiber Colors?? : Any idea of why these colors are present in the fiber material? I know that red and blue are primary colors, how could the body create these colors? Could it be the food dye from processed food? The material was said to be cellulose? What is cellulose since my high school biology memory is pretty vague? Any historical information about this condition prior to now? Dr. Jeffrey Meffert: Cotton is cellulose. one of the remarks when people find red or blue fibers is say they never wear those colors. In fact, as primary colors, you will find those blended in with most clothes. Home experiment: take a piece of cellophane tape and stick it several times on your pants, presumably pants of one color. Get in good light and magnify it. You will be amazed at the variety of textures and colors you will find. Columbia, Md: Anybody who peruses the Morgellons message boards used by people who’ve contracted Morgellons will realize that many sufferers attribute their Morgellons disease to continued exposure to insect vector bites: collembola is the most frequently mentioned, but then mites, bedbugs, fleas, etc. are also mentioned. Why isn’t the etiology of Morgellons given more consideration, since this disease is by all accounts rapidly spreading? Chantilly, Va.: I was absolutely appalled by the callous disregard doctors were showing. But why should I have been? Women’s concerns have been routinely dismissed. Anxiety about childbirth? “Women have been having babies for millenia.” Morning sickness? “There’s no such thing; it’s all in your head.” Post-partum depression? “Your husband doesn’t want to go to work every day either. Stop feeling sorry for yourself.” Would it have killed those doctors to look at the patients’ skin under the microscope, as they were begged to do? But no, it must have been brought on by hysteria, and therefore there was no need to investigate further. Dr. Jeffrey Meffert: Some doctors, especially dermatologists, spend a lot of time looking at stuff under the microscope. Ironically one of my delusional parasitosis patients came in this morning and, for the tenth time or so, I looked at the little bits he brought in to make sure that I wasn’t missing something new. I can’t, and won’t, defend all doctors because there are some i would not send my family to, but there are many who really are trying their best and, unfortunately, get tarred with “callous doctor” label just because they buy off on the whole fiber disease thing. Bethesda, MD: It appears that this disease may have an infectious component to it. Has, or will there be more in depth study of this agrobacteria from the soil in relation to this disease? Rocky Mount, NC: Does Morgellons spread easily to other people who do not live in the house that is infected? Falls Church, Va.: The only reason that government researchers are “listening” is because the government to political pressure. I appreciate all the skepticism that you managed to work into the article, but really, you weren’t nearly harsh enough on this nonsense. It’s distressing that the disturbed Mrs. Leitao (who’s been diagnosed with Munchausen’s by Proxy) was allowed to traumatize her child without repercussions. His eczema has healed on its own, but we can be confident that she will continue to manufacture new ailments for him. It’s sad that lonely, mentally distressed people around the Internet seize upon this amorphous constellation of symptoms and convince themselves that dryer lint on their skin demonstrates a dangerous disease. This only keeps them from obtaining the help they really need. It’s criminal that quacks like Dr. Matthews and Nurse Savely (who was driven out of Texas by that state’s Medical Board) are permitted to profit (enormously!) from selling snake oil to credulous people. It’s wasteful that our tax dollars, which could be devoted to legitimate medical research (perhaps to include the mental-health issues that these sufferers so clearly display) will be spent on this foolishness. Brigid Schulte: I went into the article with a completely open mind and reported what I found – I found people suffering intensely with some unknown affliction and finding community in each other. I found charlatans and people out to make a quick buck off people’s misery, I found skeptics and doctors who didn’t take the time to listen or look. And after all that, I think it’s pretty clear that there are still questions out there that need to be looked at and answered. Virginia: Hello. Great article. the picture of one woman’s leg looked like similar to those with tick bites. I was wondered if most people with morgellon dissease spend a lot of time outside? Rockville, MD: What is the average profile of a Morgellons patient? Primarily men? Primarily women? I ask because in a different Washington Post chat, it was mentioned that the typical fibromyalgia patient was a woman, 5’3″ and 180 pounds. Grand Rapids, Mich: Why does the Dermatological community take such an antagonistic approach when interacting with patients?? New Albany, Miss: Brigid, I have been on anti-anxiety meds for over two years. I just think that people should not dismiss “everyone” that has been diagnosed with DOP. There were no diagnostic tests to make that diagnosis, as a matter of fact, my biopsie suggested something entirely different, but has been ignored since the DOP rx. There are some people out here who have been mis-diagnosed, and because of this they can’t get proper medical attention. Dr. Jeffrey Meffert: The biopsies on my DOP patients usually are consistent with chronic irritant or allergic dermatitis, generally as a consequence of the aggressive, skin-damaging treatments that some patients subject themselves to. Prurigo nodularis, a condition which can occur in any chronic itchy condition, is another common biopsy result. I would never dismiss a DOP patient any more than I would dismiss a cancer patient, it is a miserable and difficult to treat condition. Brigid Schulte: I do think it is interesting, however, that many dermatologists are quick to diagnose Delusions of Parasitosis. I found it extremely telling that in a Mayo Clinic study of DOP, once doctors took the time to look at what people were bringing in and not dismiss it out of hand, and took the time to listen and examine patients, more than half ended up with actual diagnoses and medications intended to treat their specific conditions. Providence, RI: Dr. Meffert, I can actually see these brown and black specks rise out of the skin after rubbing it with anytype of lubricant. Are you suggesting that the specks are coming from the lubricants? If so, I would like to know what is in them that would cause hundreds of tiny brown specks to appear from within my skin? Dr. Jeffrey Meffert: brown and black specks are likely tiny little blood clots from exposed capillaries. The lubricant helps soften them enough to be released from the underlying tissue. I see it all the time in patients who surgeries we are allowing to heal on their own. Rockville, Md: Did the reporter confirm with the physicians consulted by the subjects of her article did not indeed examine their skin under microscopes? Or did she simply report whatever the sufferers stated to her. Brigid Schulte: I spoke to all of Sue Laws’ physicians. Their answers are reported in the story. New Albany, Miss: I would also like to ask a question. Has the Dermatologist that you have here today ever diagnosed anyone with DOP? And if so, how did they arive at this diagnosis? Dr. Jeffrey Meffert: Yes, I make the diagnosis several times a year. It is usually a clinical diagnosis when you have someone who is not frankly psychotic has a fixed delusion about parasites and their skin. I always do an exhaustive exam to make sure they really don’t have anything but the nature of the complaint usually involves something that is impossible. Such as “It is completely invisible but has wings and 6 legs”. “I can feel in running through my skin at several inches a second”. Dr. Douglas Buckner: patient descriptions are based on their learned experiences. Even young children say it feels like bugs… that is the knowledge base… same with adults… it feels like bugs. So they bring in samples which triggers the match box syndrome alert and DOP is jumped to many times. Washington, DC: I am the mother of the poster from Washington, DC who has been estranged from her children and grandchildren for a year and a half. You indicate that there are plenty of physicians that will help me. There have been 5 households in my family affected by this when we contracted it at a 4th of July family event in 2006. Most of my family has recovered. However, I suffer severely. I have been to Bowie Health Center, my dermatologist in Greenbelt, MD who humuliated me while I left his office in tears. He didn’t even examine the bite marks on my body. I have been to Johns Hopkins in Baltimore. 8 of my family members were seen by the The Georgetown University Hospital Infectious Disease Department. We were treated with meds and most of my family is doing better. However, I was reinfested. I had burrows along the bra line of my back and bite marks all over my body. I tried to reschedule an appointment with Georgetown. They REFUSED to schedule me a followup appointment. I wrote a letter to the head of the hospital Joy Draas. I was told they did all they could do for me in that one visit and gave me 4 referrals to other doctors. I called the Howard University Hospital to try to get an appointment twice. They never returned my call. So PLEASE tell me — which doctors do you know that are going to help me? Especially now since I have no job and no income at all. To the physician who thinks that a mass exodus of people who all are psychologically challenged decided one day to look on the internet one day to find a disease at random and make it their own to create some kind of mass hysteria, get a clue. Dr. Douglas Buckner: In light of the recent CDC announcement I think you should try again. Washington, DC: I think the anti-mental health comments from these posters and these doctors are the only source of Morgellons. If these people were encouraged to see even just an LCSW (social worker) to talk over their problems, their physical manifestations would cease because their anxiety would cease. I cannot put it in plainer language than that, but every person who has written in so far is begging to be heard. So why not start with paying someone to hear you? It’s common sense. Washington, DC: Dr. Meffert you appear very confident that this is not contagious. how can you be so sure without having a true understanding as to what this “case” is? This has affected multiple members of my family. How do we know that this is NOT contagious? Dr. Jeffrey Meffert: There was an indication in your letter that, rather than having a condition such as chronic staph, scabies, or lice which may be transmitted from person to person, that your problem may have progressed to delusional parasitosis which is not contagious. Columbia, MD: Dr. Meffert, may I say that you have no right to dismiss attributions by Morgellons sufferers as to what caused their disease. As I say, many, many attribute their disease to exposure to insect bites, and to dismiss them so cavalierly with no knowledge on your part is to dismiss probably the most important question with regard to Morgellons: how can it be contracted? To answer this question ASAP is to thwart the exploding incidence of this disease worldwide. Dr. Jeffrey Meffert: I am dismissing nothing except that which does not make sense or is impossible. I treat bite reactions, acute and chronic, all the time. I choose not to call it morgellons. Brigid Schulte: There’s been a lot of backs and forths today about psychosis. Again, another piece of reporting I found very interesting was that doctors often sent sufferers to psychiatrists or were given anti-psychotic medication and reported that their patients improved. It’s important to note that some anti-psychotic medications also, as a byproduct, help relieve itching. In the interim while waiting for the findings from the CDC study. What would you suggest to help bridge the gap between patient and dr. at the Point of Service during an office visit. There has to be some midground. Dr. Jeffrey Meffert: I’m afraid you need a doctor who is willing to spend the time with you to: First, make sure you really don’t have a diagnosable/treatable bacterial, fungal, or parasitic infection. Second, Whatever you want to call it and whatever they want to call it, let them focus on your symptoms. I don’t have and easy cure for prurigo nodularis; it’s very individual and may take a few visits to figure out what works best for you. Dermatologists may be best at the technical aspects of this but you need to find one who will spend the time you need. Brigid Schulte: Thanks everyone for joining this spirted discussion about Morgellons. And thanks to our guests, Dr. Jeffrey Meffert and Dr. Douglas Buckner for sharing their strong and diametrically opposed viewpoints! The CDC is just beginning their study out in California. So we’ll see what happens next in this medical mystery story.